The people have spoken: skiers and boarders that ride Eldora aren’t too stoked about the resort’s plan to implement a pay-to-park policy on peak visitation days. As part of a new “Play Forever” sustainability initiative introduced by Eldora late last week, the resort announced plans to begin collecting a $20 parking fee for vehicles with fewer than three occupants (excluding Eldora season pass holders) on weekends and holidays through April 14. The fee is designed to incentivize carpooling, and the use of RTD N-Bus that drops off at the lifts, in an effort to reduce congestion and support the resort’s sustainability goals. However, in response to public outcry, Eldora released a statement on Tuesday rescinding their plan for paid parking to go into effect this weekend. Situated just under 50 miles from Denver, and only 21 miles from Boulder, Eldora’s location has made it a popular hometown mountain for residents across the Front Range. 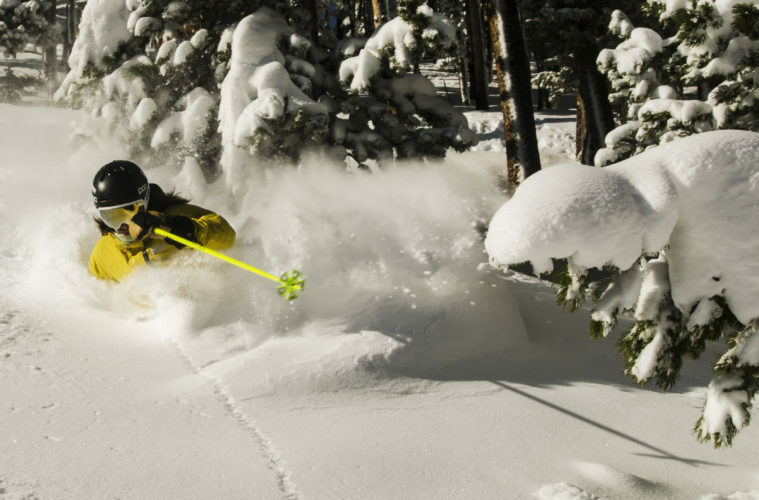 Since opening nine days ahead of schedule on November 7, the resort has received 75 inches of snow. The new high-speed 6-seater Alpenglow lift and easy-to-scan RFID passes are getting skiers to the top in less than half the time as the old lifts. But parking demand still outweighs supply on the weekends. A traffic study commissioned by the resort during the 2017-2018 season revealed that the average number of occupants per vehicle utilizing the resort’s free parking areas were two or fewer people — which Tregaskis noted played a factor in increased congestion on the roads leading to the resort, as well as in the designated parking lots, which more often than not fill up by 9:30 a.m. on peak visitation days. While the resort has suspended implementing paid parking at this time, Tregaskis is making a plea to the Eldora community to help the resort achieve its sustainability goals and tackle parking issues. “We are working closely with the County to increase our parking capacity, reduce traffic, and lower emissions, but we aren’t there yet. Given that we are rescinding our paid-parking proposal at this time, we need our guests to speak as loudly with their actions as they have with their words,” he said. Message in a Bottle Five Favs from the 2019 On-Snow Demo The January/February Issue is LIVE! The December Issue is LIVE! The October Issue is LIVE!